I'm back from vacation and battling the whirlwind of a classically crazy workweek... sigh. At least I have my tan to remind me what I was doing this time last week, right?! 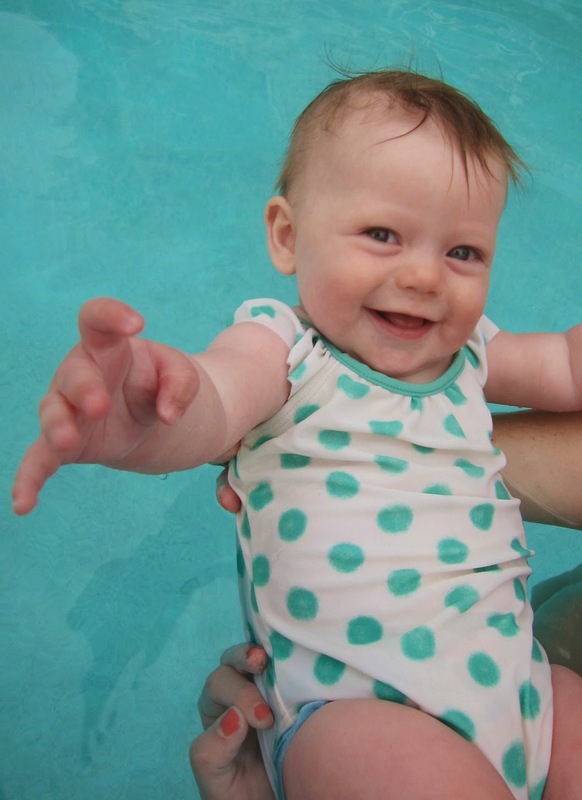 The major vacation takeaway (besides the fact that duh, we need to go on vacation more often) was this: we have a water baby! I'm so happy that my girl seems like splashing around the water as much as her mom does. 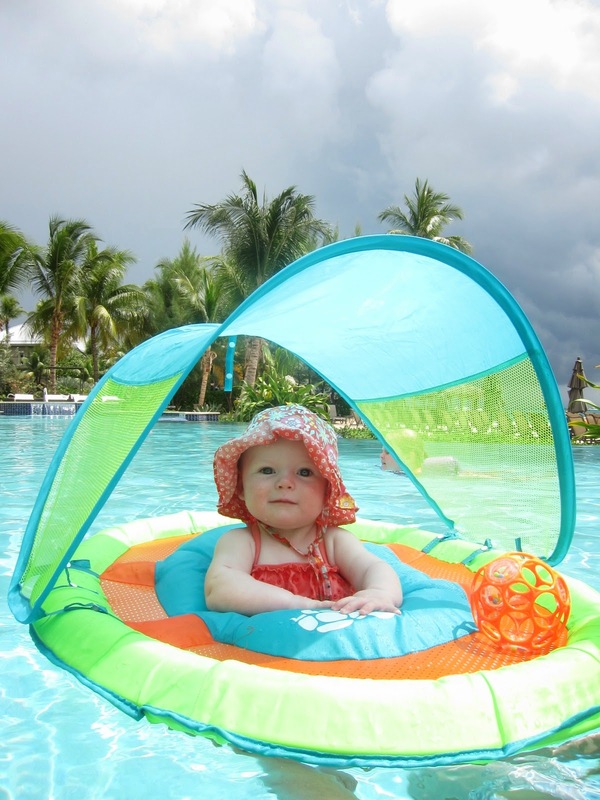 We had a tented pool float, aka the best $30 I've ever spent, and it was perfect for her. We could actually use it in the ocean, too, as calm as the water was there. And blue! That blue... (cue another sigh). 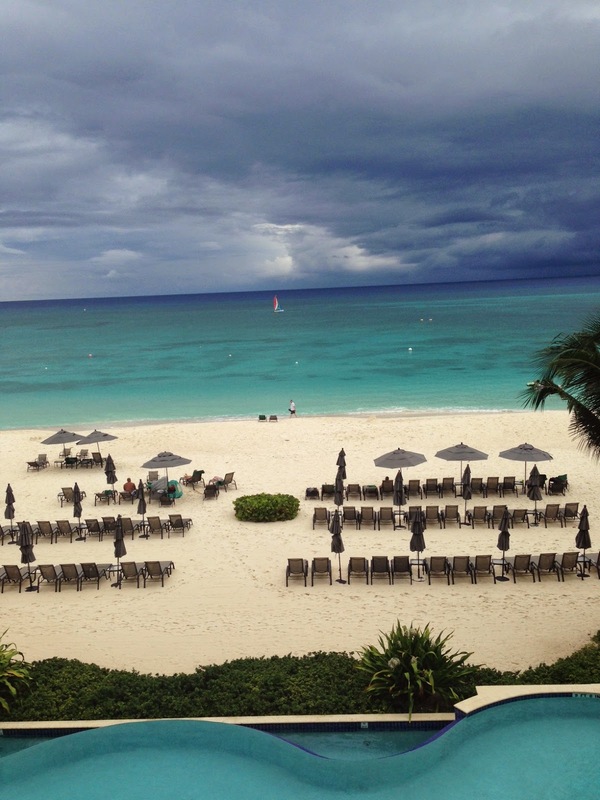 We stayed at the Beachcomber condos in Grand Cayman, and I can't say enough about the property. Perfect location, great amenities, completely relaxed and easy. If you're looking for a tropical condo vacation instead of a hotel (especially if you have a little one in tow), the Beachcomber is definitely worth looking into! This vacation wasn't our usual speed at all. We tend to be active vacationers, checking things out and seeing sights. This time we really just wanted to relax, enjoy, and do absolutely nothing, and we nailed it. So much fun, Maggie! I loved following the pictures on Instagram. 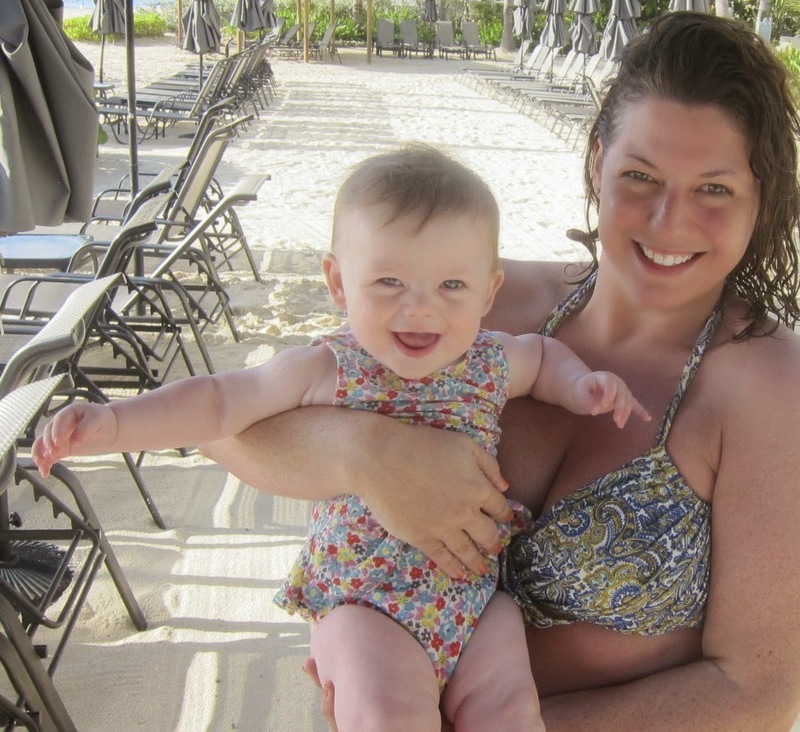 The trip looks so relaxing and just wonderful, and Hazel is so so so cute. What a happy looking baby! ohhhhh my goodness. i can't get enough of hazel! what an amazing vacation. super jealous!! 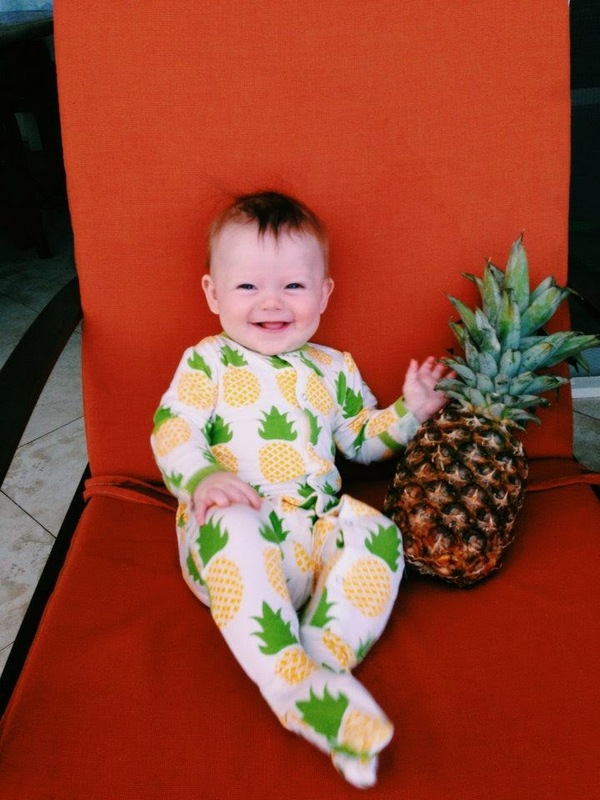 Pineapple babies are my new favorite thing. I can't get enough of the photo of Hazel sitting soooooo proudly and carefully in her float! Girlfriend knows she's queen of the pool. Awesome! She looks like such a sweet happy baby! What a fun trip. I'm so glad she did so well and had so much fun. Love the photos! 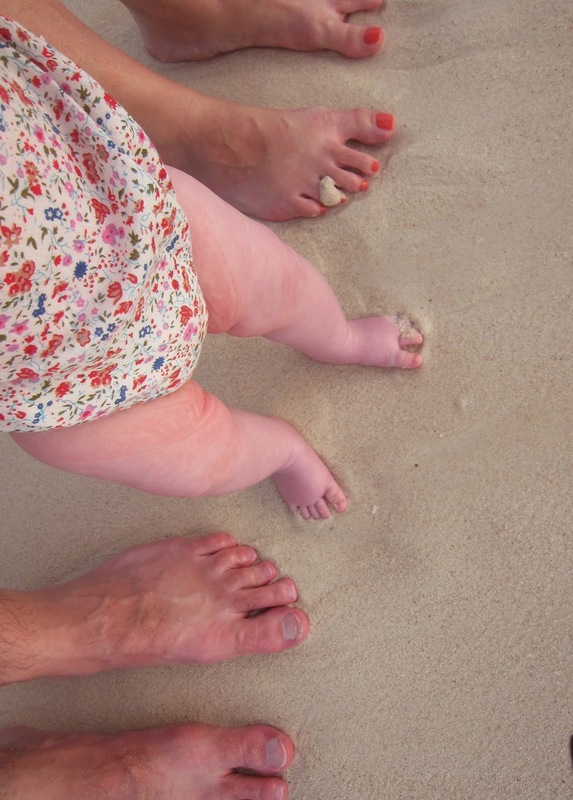 Basically, you're the cutest vacationing family ever! 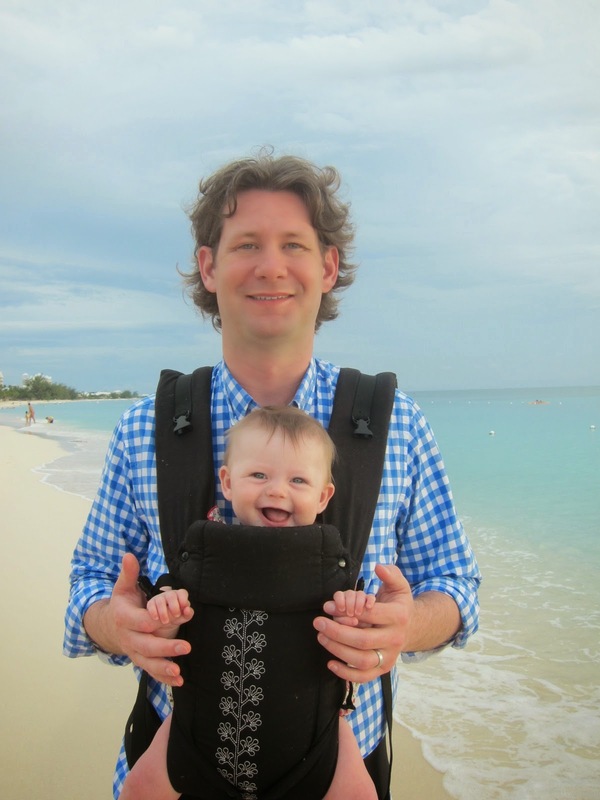 Hazel's nursery featured on 100 Layer Cakelet!